Souleymane Kabore, CMT Staff Engineer, is a recent hire for our construction materials testing (CMT) group in Norcross, Georgia. Mr. Kabore comes to NOVA with more than 3 years of experience in construction materials testing. Since graduating with dual majors in civil engineering and mining engineering, he has worked in several different areas of materials testing and special inspections. He brings several certifications including Troxler Nuclear Gauge Safety/Troxler Hazmat, F-Number, ACI Tech I, and ACI Concrete Strength. 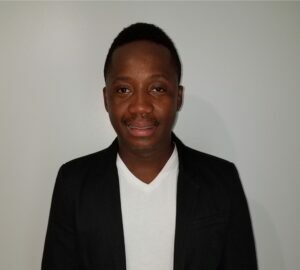 Mr. Kabore is originally from Burkina Faso, West Africa and is fluent in French. He loves to play soccer and cheer on his favorite soccer team, Real Madrid CF, as well as his favorite football team, the Green Bay Packers. Please give a warm welcome to Souleymane Kabore! He may be contacted at 404-276-3535 or skabore@usanova.com.